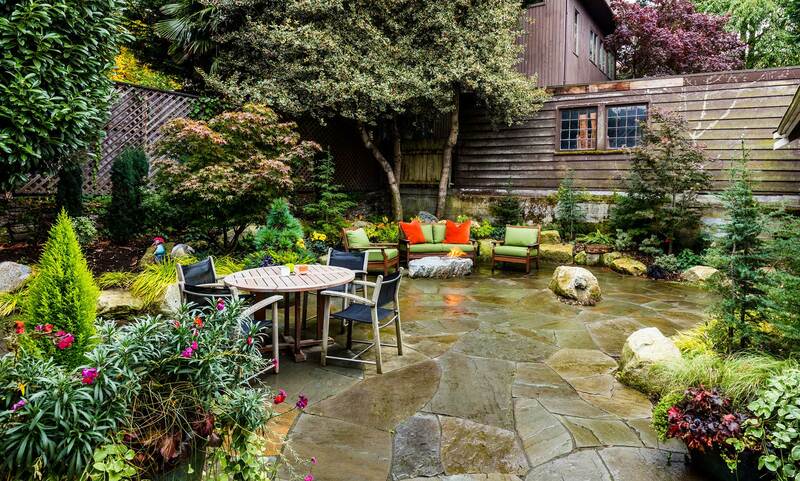 An old, picturesque garage serves as the backdrop for this garden featuring many granite boulders and lots of rich flagstone paving. 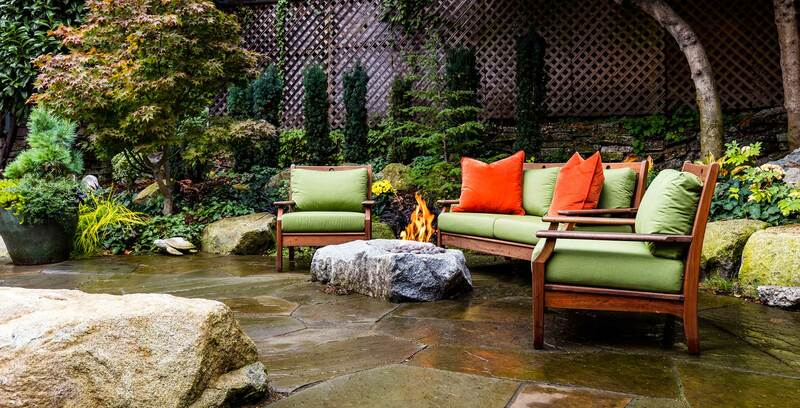 Complimenting all the stone, are rich woodland plantings. 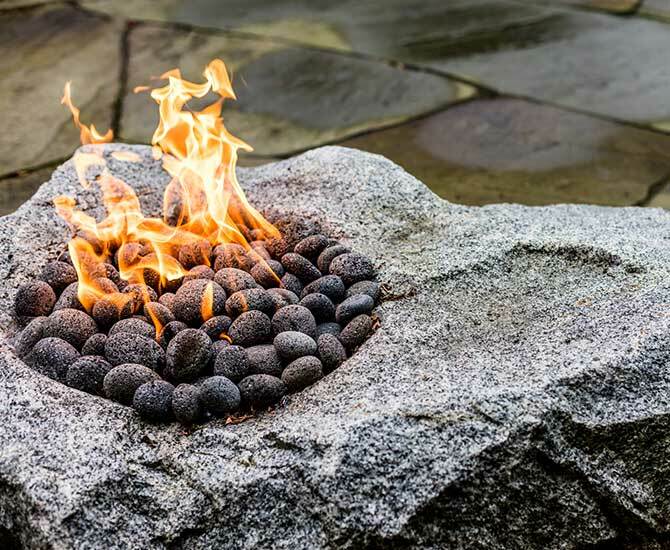 A natural gas, easy-care fire feature is set in a hefty, custom hewn granite boulder. 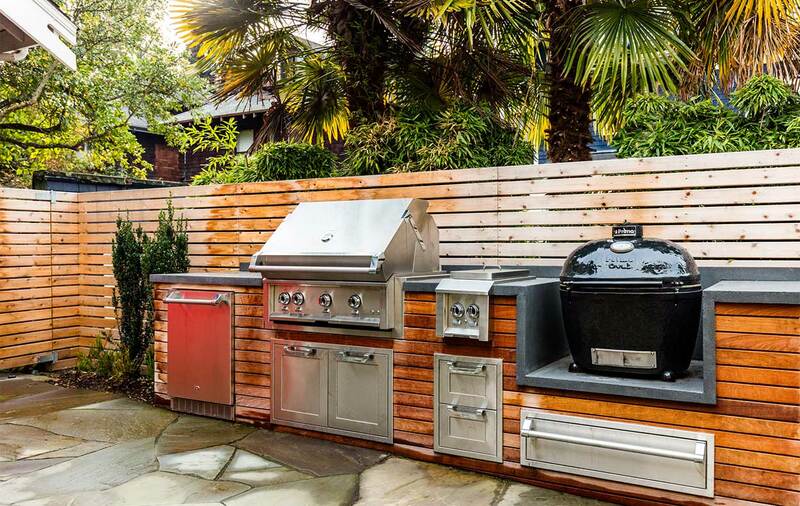 Garden features include an extensive outdoor kitchen complete with grill, refrigerator, side burners, and a smoker. 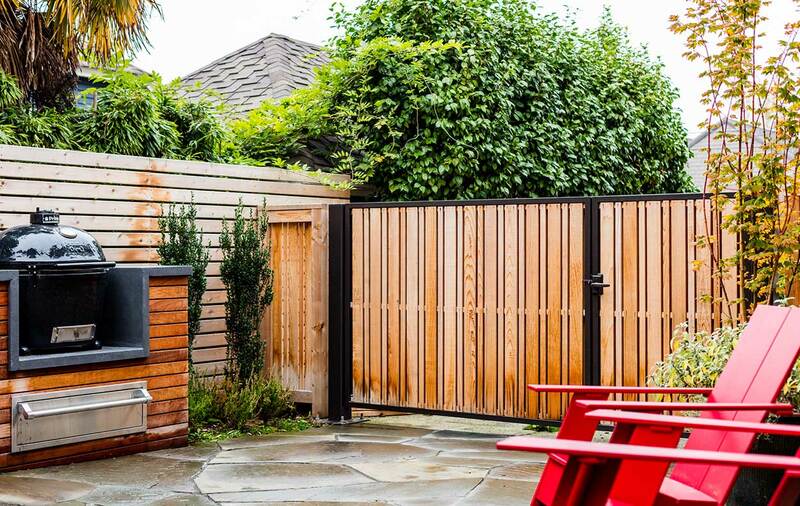 The barbeque island also has rich custom concrete countertops, and ipe siding.